It was a fun-filled day for football lovers on Sunday, March 31st, 2019 as premium beer brand, Star Lager, entertained fans with the Euro Club match at Delve Bar, Uyo, 106 Marian Road Calabar. The match saw London based club Chelsea go against fellow London side Cardiff in Wales. The Star Euro Club Experience is an initiative by Star Lager brought together to serve passionate football fans with the thrilling moments from Europe’s top league matches. The match between Chelsea and Cardiff kicked off, at 8:00 pm. Delve Bar in Calabar, City Bar in Makurdi and Obaken Events Centre, Lagos, witnessed a turn out of football fans with expectation and excitement towards the match. Star Lager engaged fans with interesting games along with a supply of cold beer and snacks. The turnout of fans at the Euro Club experience was incredibly huge as Star Lager brought the whole place to life much to the delight of the fans and viewers present. 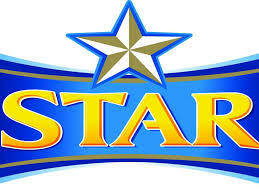 Star Lager is a national premium brand brewed by Nigerian Breweries Plc. The lager brand will continue to give fans in Enugu, Abeokuta, and Ibadan exclusive match. viewing experiences, in the coming weeks, ensuring football fans connect with the brighter side of life.